I love that last years Christmas set Wondrous Wreath Photopolymer stamp set and the Wonderful Wreath Framelit Dies have carried over to this years Autumn/Winter catalogue. 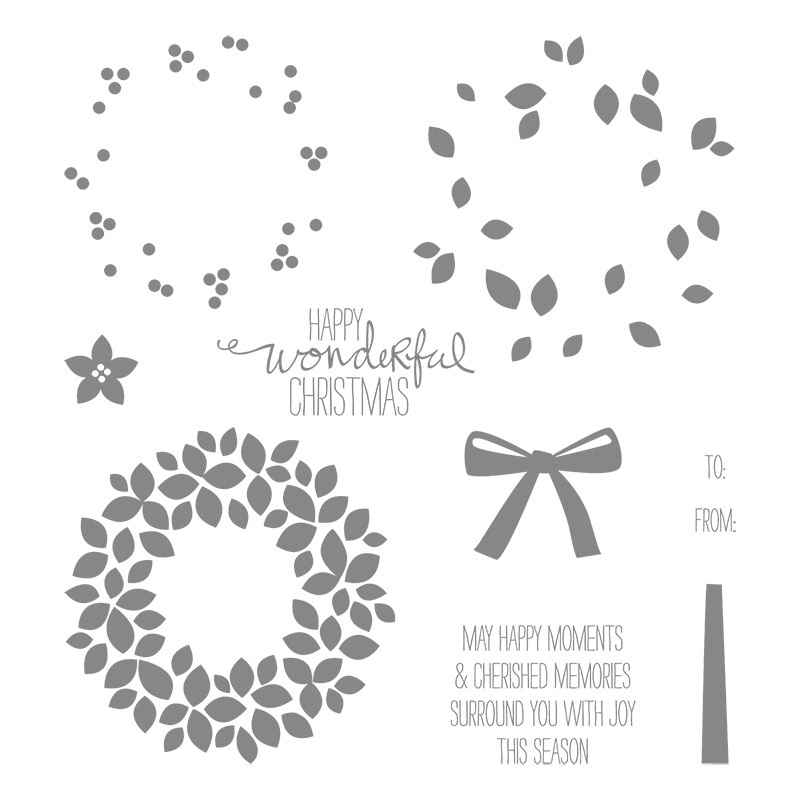 I was thinking about recreating last years Christmas card because I didn't get a chance to blog about it..... but before I knew it I got totally sidetracked thinking about how else could I use this set without using the main wreath stamp. The result is that I've made a card using the berries stamp (top right in the picture above) from the Wondrous Wrearh set. I used the sentiment included in this stamp set 'Happy Wonderful Christmas' and then punched out 5 flowers from Vellum cardstock using the Itty Bitty Accents punches and then added some Rhinestones. I really like this effect. You could definitely use this stamp for any occasion, not just for Christmas. It also gave me another reason to use my current favourite cardstock - Whisper White Thick Cardstock.